Bangladesh is a land of river. Rivers are life for Bangladeshi. Rivers circulate its culture, life style. They also possess some marvelous beauty. Here, I want to share some pictures of the rivers of Bangladesh with some short notes. 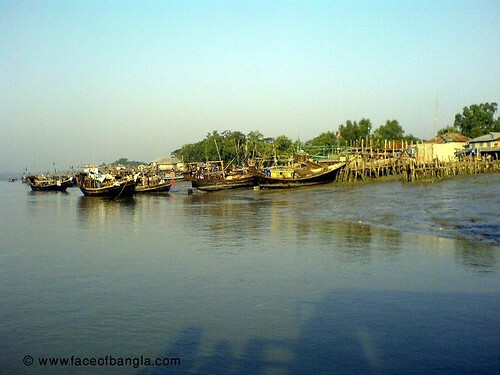 The Padma is a major river in Bangladesh. It originates from the Himalaya and enters Bangladesh from India. In Bangladesh it meets with Meghna and got the name Meghna. There are enormous Hindu mythologies about the River Padma. This was a mighty one in Bangladesh but now it is becoming meager day by day. This is due to Farrakah Dam, which was set up by India. We should raise our efforts to save this river because it is not only our natural resource also it circulates our culture. 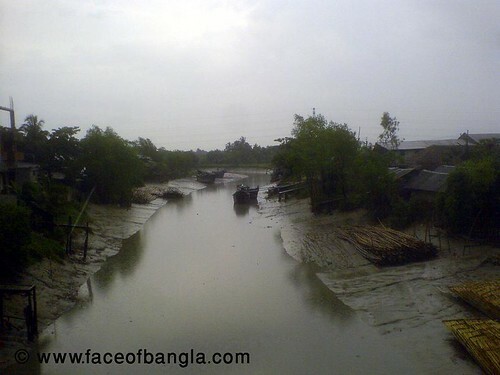 The Meghna is formed in Bangladesh. 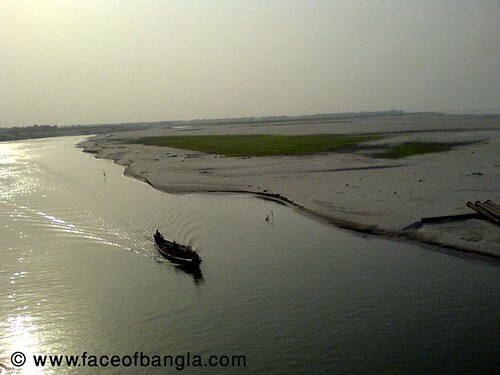 It originates by mixing with several rivers in Bangladesh. It is the widest river in Bangladesh. The river meets Padma River in Chandpur District. 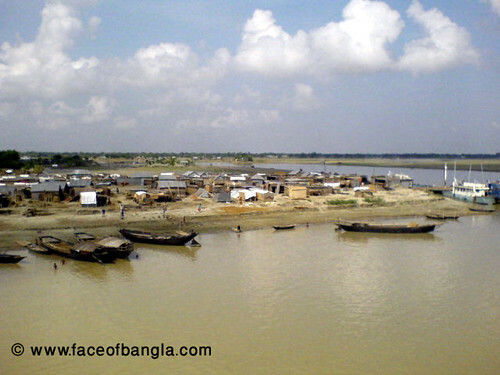 The river ultimately flows into the Bay of Bengal in Bhola District. 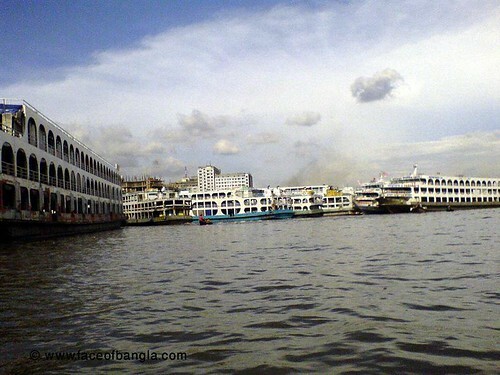 The capital of Bangladesh is situated in the bank of the river Buriganga. But the river lost its all beauty, its charms and life. Because enormous tannery effluents and city garbage is channeled in this river. Now, this river doesn’t have any fish in it. It appears all most black in colour. This is a flashy river that originates in the Moyvar hills of Alikadam (Bandarban). It flows northwest through Alikadam and Lama upazilas of Bandarban and Chakaria of Cox's Bazar. 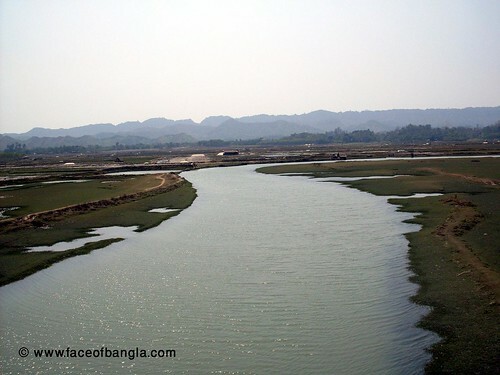 The river discharges into Maheshkhali channel near Saflapur (Chakaria, Cox's Bazar). The length of the river is 148 km. Yanchha khal and Bamu khal are its important tributaries. BWDB has 2 hydrometric stations on this river and data are available from the year 1956. 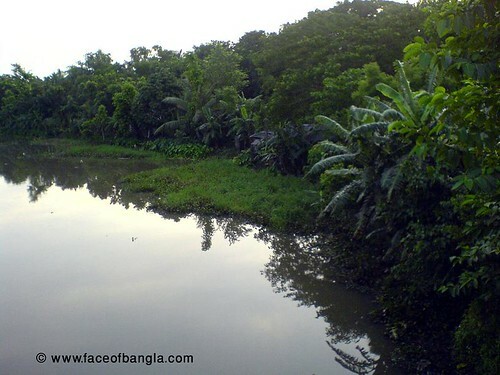 This is the only river that originates in Bangladesh. It originates in the Batnatali hills of Khagrachhari. 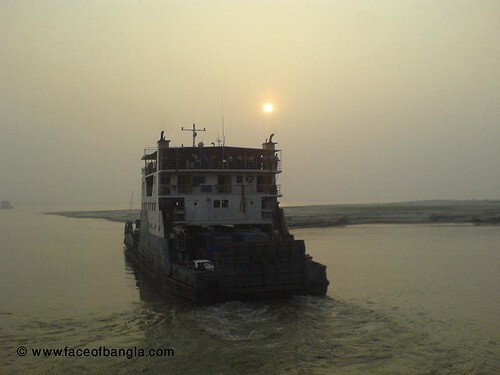 It flows south and meets the Karnafuli near Madhunaghat (Chittagong). It is a flashy river and is 88 km long. BWDB has 13 hydrometric stations on it, and data are available since 1959. The land between the Pasur and the Bhola is drained by the Sela, which lies wholly within the SUNDARBANS. Many cross-channels connect it with the systems on either side. A large cross-channel connects it with the Morzal at the head of its estuary. 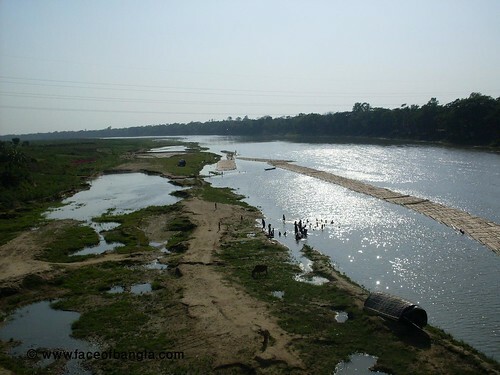 The Pashur river is a continuation of the Rupsa, which is formed of the union of the Bhairab and Atrai rivers. At present, much of its water is from the Garai diverted through the NABAGANGA. 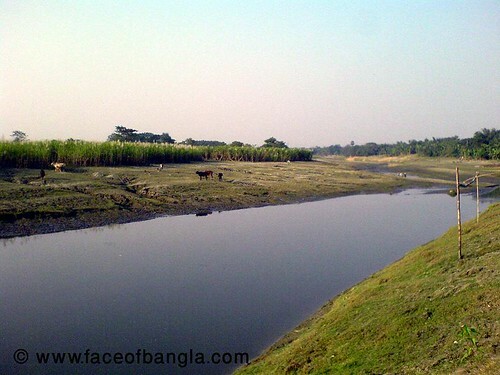 From near Batiaghata upazila the Rupsa changes its name to Kazibacha, which is given up near Chalna in favour of Pasur. 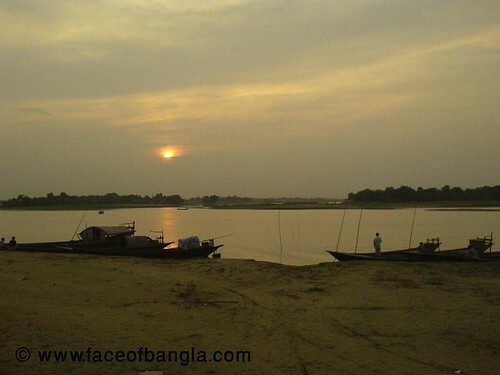 Near the MONGLA PORT, the Pasur receives Mongla river, and near the forest outpost at Chandpai it receives the Mirgamari cross-channel from the Bhola, both on the leftbank. 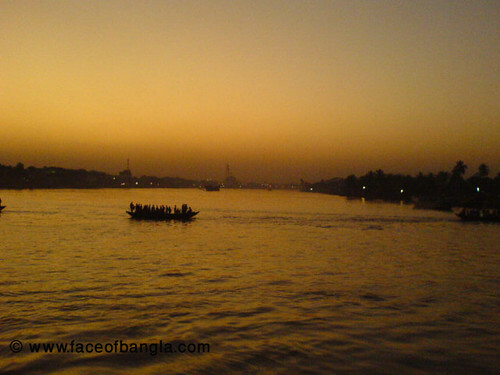 On the rightbank the Manki, Dhaki and Bhadra are connected with the Shibsha system. 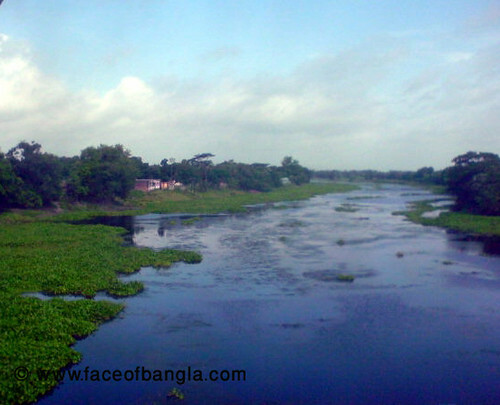 This is the river passes into the Jamalpur district. 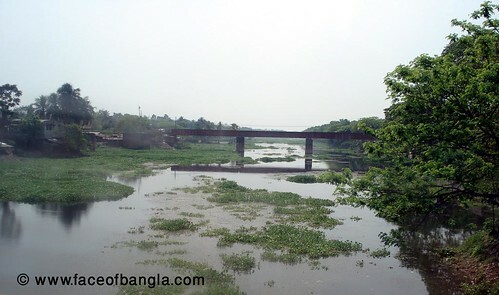 The river Ichamoti branched into two streams at Darshana in Kushtia district. One flowing southeast is known as the BHAIRAB. 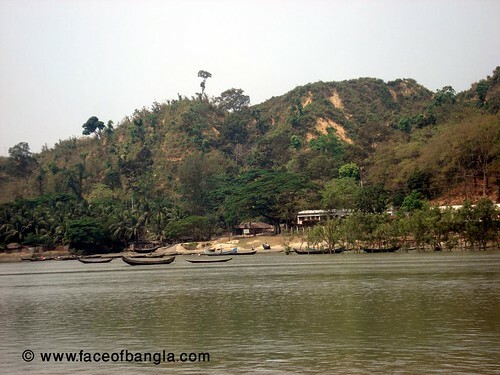 At the south of Kotchandpur, an offshoot branches out from the Bhairab and flowing south meets with the Shibsha near Paikgachha in Khulna district. This offshoot of the Bhairab is the Kobadak. Once upon a time, the water of this river was clear and transparent like the eyes of a bird. 'Kapot' means pigeon and 'Aksha' means eye. From the MONSOON the river receives only the local rainwater and percolated water and loses its navigability at most places. In summer, the river almost dries up near Jhikargachha. The high levee near Tala upazila indicates that once upon a time the river might have had a width of 750m, but it is now only about 170m. The Kobadak is under tidal influence but not above Jhikargachha. To protect it from saline water a long salination protection embankment has been constructed along its bank. Irrigation is not suitable in parts of Khulna district due to salination. Saline water is however very suitable for shrimp culture. 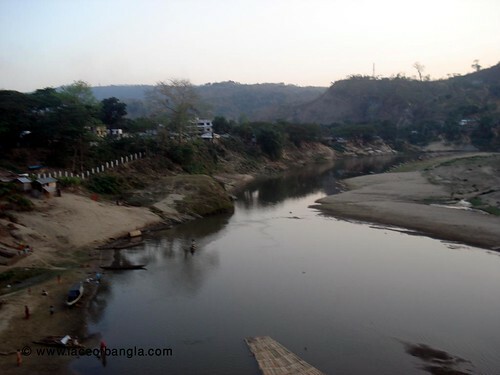 The Kobadak flows through some important places like Chaugachha, Jhikargachha, Chakla, Trimohani, Jibannagar, Kotchandpur, Sagardanri, Tala, Baruli, Chandkhali, Baradal, Amadi and Bedkashi. The birthplace of the eminent epic poet Michael Madhusudan Dutt is on the bank of the Kobadak in Jessore district. 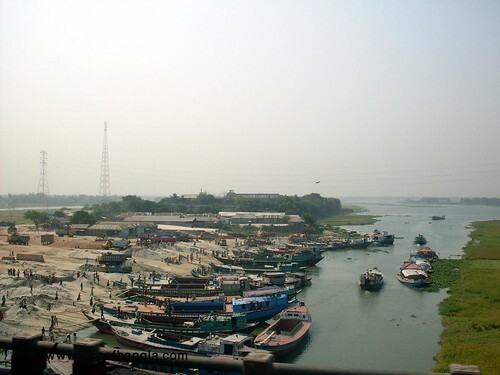 KHULNA and Jessore towns stand on the bank of this river. In the past, the Bhairab greatly influenced development of settlements and culture in these two towns. The Hindus regard it as sacred. 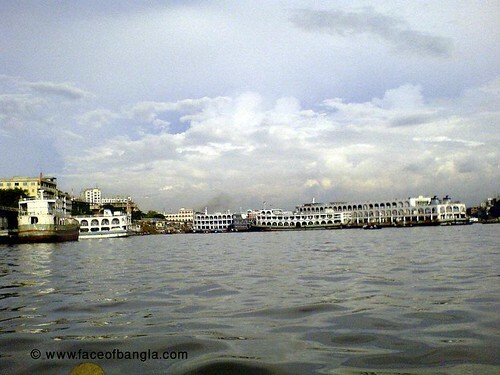 MEHERPUR, CHUADANGA, Barobazar, KOTCHANDPUR, CHAUGACHHA, Jessore, DAULATPUR, BAGERHAT and Khulna are some of the important places located on the banks of the Bhairab. This river originates in the Arakan Hills of Myanmar and enters Bangladesh near Remarki (Thanchi upazila of Bandarban district). It flows north through Thanchi, Rowangchhari and Bandarban upazilas of Bandarban district. Then it flows west through Satkania and Banshkhali upazilas of Chittagong district to meet the Bay of Bengal near Khankhanabad (Chittagong). The length of the river is 295 km. The major tributaries of the river are Chandkhali Nadi and Dolu khal. There are 7 BWDB hydrometric stations on this river and data are available from 1965. The Gorai is a very old river. Its early name was Gauri. The famous geographer and astronomer Ptolemy noticed about five estuarine mouths of the Ganges. One of those, the 'Kambari Khan', was perhaps the Gorai. The course of the Gorai-Madhumati is wide, long and meandering. From its originating point at Kamarkhali, it is navigable by boats in the MONSOON, but in the dry season it becomes non-navigable. In the downstream it is navigable throughout the year. Maximum recorded flow at Kamarkhali is 7,932 cumec. The breadth of the river increases as it flows down and at the end it is about 3 km. 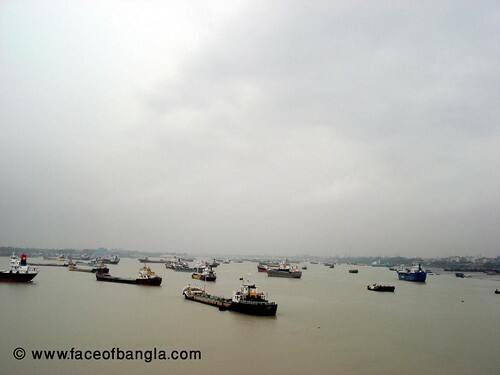 The Gorai-Madhumati is one of the longest rivers in Bangladesh and its basin is also very wide and extensive. It flows through Kushtia, Jessore, Faridpur, Khulna, Pirojpur and Barguna districts. Agriculture and irrigation in these areas are very much dependent on the Gorai-Madhumati. Kumarkhali, Janipur, Sheuria, Ganeshpur, Khulumbari, Langalbandh, Shachilapur, Nacole, Lohagara, Pangsha, Baliakandi, Boalmari, Kashiani, Bhatiapara, Nazirpur, Kachua, Pirojpur, Sarankhola, Mathbaria, Patharghata and Morrelganj are the important places on the banks of the Gorai-Madhumati river. 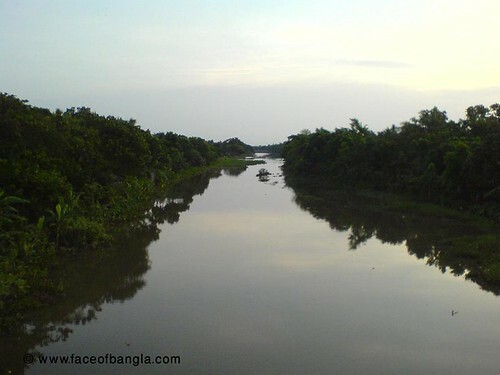 This river is in the Potuakhali district. it is strongly influenced by tidal web. 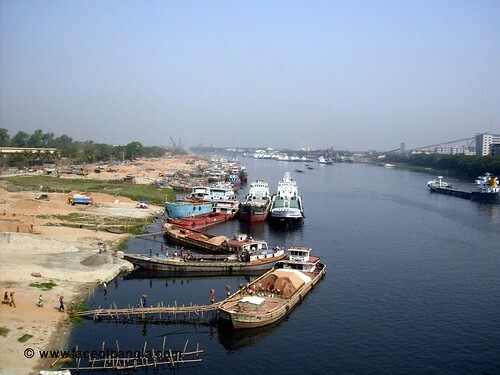 The Naf river is a very important river for Bangladesh. The river is strongly influenced by tide. It forms in the Arakan hills on the southeastern borders of the district and flows into the Bay of Bengal. It carries sediment and forming new land in the Bangladesh portion. Akyab in Myanmar is on the eastern bank and Teknaf upazila of Cox's Bazar district is on the western bank of the river. Hey buddy thanks for all the trouble of compiling this awesome blog about our country. Keep up the good work. 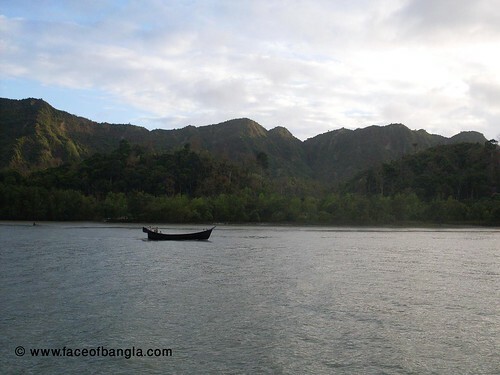 Thanks for the great list of Bangladeshi Rivers. Need more details about Bangladeshi Rivers, Hope You will publish it.